We are so grateful that our very talented volunteers created these wonderful posters for the Korean dogs. Click HERE to see all the variations of these posters! Click HERE for a sample letter you can add as well (even though the picture says it all)! Click HERE to write to the National Olympic Committees! ANCHE IO BOICOTTO TUTTI I PRODOTTI DELLA CINA,BOICOTTO Pyeongchang 2018…VERGOGNA – SHAME !! Люди,человеки откликнитесь пожалуйста на это безумство!! !Чем будет больше нас,тем быстрее мы можем остановить эти убийства неповинных наших братьев меньших!! !Пожалуйста,помогите и присоединяйтесь!!! Make sure to download the largest image size. (After opening the photo click on the down error on the lower right corner). Then you can order the poster prints at various photo processing location. Costco offers 20×30 inches photo enlargement for $10 and sometimes they offer $2 off coupon and that makes it $8 each. This is probably one of the best deal you will find for the poster print this size. Thank you so much!!! You need bumper-sticker sized posters, too. I agree. Bumper sized stickers!!!!!!! C’est tellement horrible! pauvres bêtes. Yes, this practice is God Awful in every sense of the word!!!! The people who engage in this practice have no conscience, heart or soul. It is so good for the world to know that South Korea people are trying to reach out to your own Government to STOP EATING AND HURTING DOGS AND CATS in their own country. 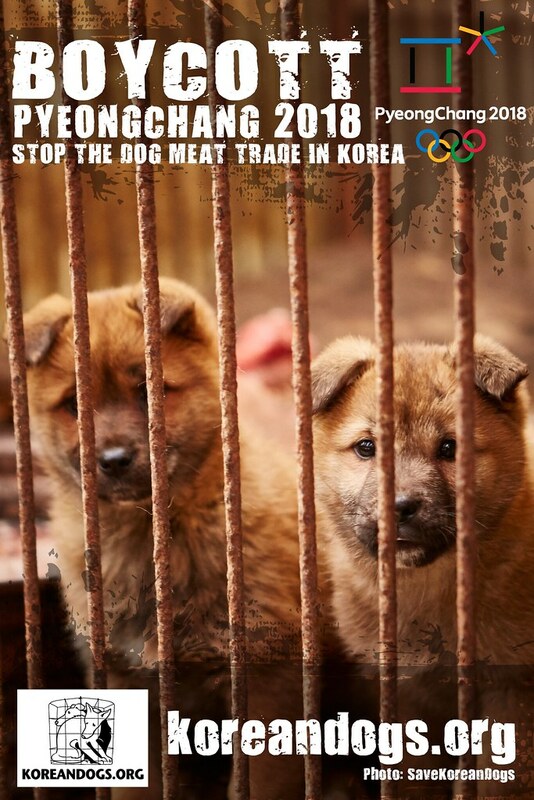 I want to repeat their words: South Korean Government STOP THE TRADE OF EATING DOGS AND CATS. THEY FEEL PAIN AND FEAR TOO. South Korean People: THANK YOU. PLEASE WORK AS HARD AS YOU CAN TO STOP THIS EVIL TREND OF HURTING AND EATING SUCH SWEET ANIMALS AS CATS AND DOGS. LOOK AT THEIR SAD FACES. Some animals turn their back because they cannot bear to look at what they are seeing. We must help them. Can’t we print them out ourselves as 8 x 10’s? Hi Maureen, yes you can. 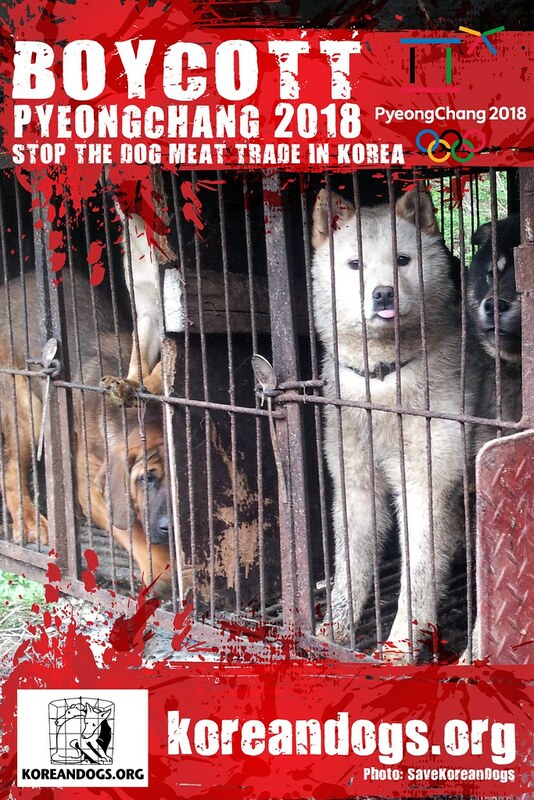 Go to this page: https://www.flickr.com/photos/koreandogs/albums/72157657734050240 and then download and print. Thank you! Thank you for all your hard work and big hearts! God bless you all and all the cats and dogs that are awaiting and needing saving. Is there a way we can make these our profile or background pics on Facebook? Yes. You can download these photos to your desktop and upload them to your Facebook. Yes, right click on the image you want to save then, click “save as” picture. It will be saved in your pictures file on your computer. You can then upload them to FB. by the way Panasonic and Toyota are Japanese companies. Anyway I am doing everything I could do for these innocent animals ! You want to look at Korean companies like; Samsung, Kia, LG, Hyundai, etc…..Just google South Korean companies or manufacturers. BOYCOTT THEM ALL! We need to make this brutal practice illegal so that we can charge these bastards and get justice for these animals. Archaic and sadistic tradition, I saw a different article with all these angels in a cage and the desperate look in their sweet faces will remain in my heart for ever. They new what was coming to them. 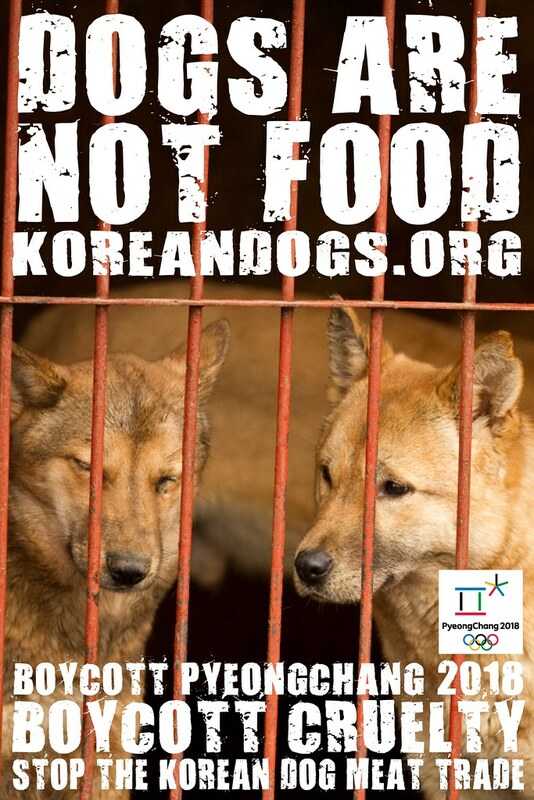 Please BOYCOTT PYEONCHANG 2018 THEY DO NOT DESERVE the Olympics on this evil country. We must keep at it until ALL dog / cat meat farms are SHUT DOWN permanently ! 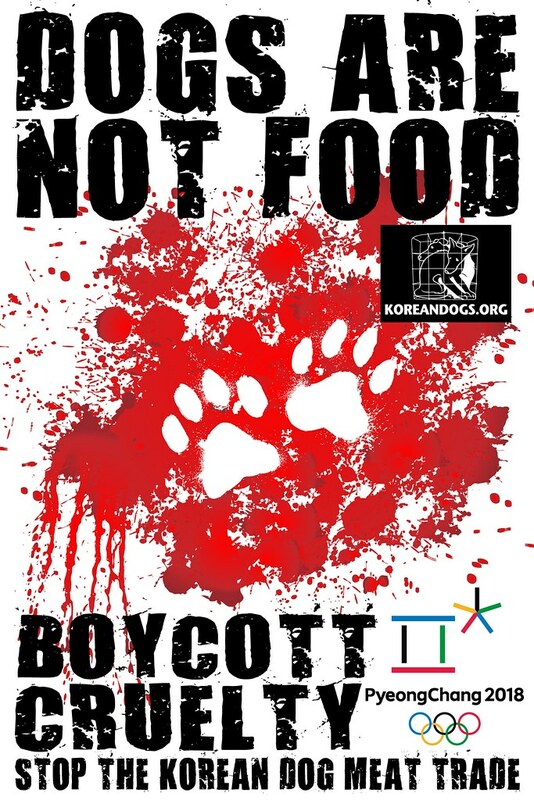 BOYCOTT ALL PRODUCTS MADE IN SOUTH KOREA! WHEN THE LARGE MANUFACTURERS START LOSING PROFITS, THEY WILL THEN STEP UP TO THEIR GOVERNMENT AND END THE CONSUMPTION OF DOG/CAT MEAT! WE MUST BE STRONG IN OUR EFFORTS TO CHECK ALL LABELS AND BE SURE IT WAS NOT MADE IN KOREA, CHINA! CHINA IS ANOTHER DISGUSTING COUNTRY WHO TORTURES AND EATS DOGS AND CATS! 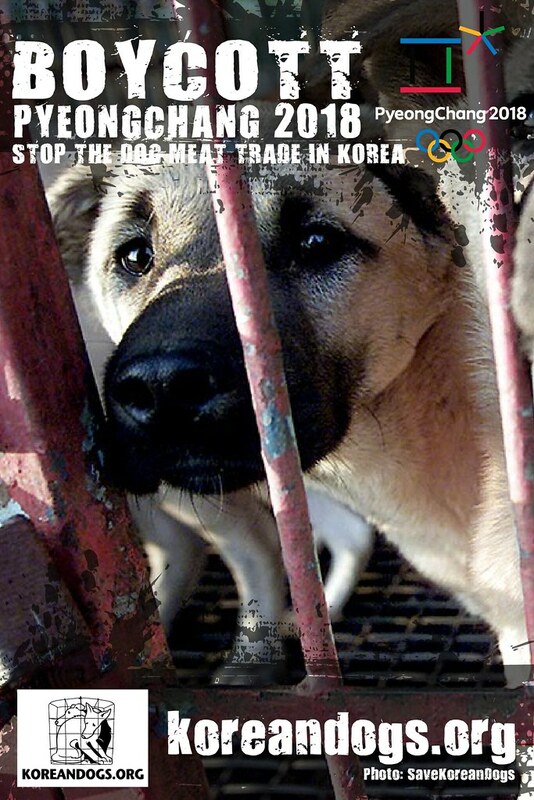 BOYCOTT ALL PRODUCTS MADE IN SOUTH KOREA, CHINA AND VIETNAM! WHEN LARGE MANUFACTURERS START LOSING PROFITS, THEY WILL THEN STEP UP TO THEIR GOVERNMENT AND END THE CONSUMPTION OF DOG/CAT MEAT! WE MUST BE STRONG IN OUR EFFORTS TO CHECK ALL LABELS AND BE SURE IT WAS NOT MADE IN SOUTH KOREA, CHINA AND VIETNAM!!!! THIS IS THE ONLY WAY TO PUT AN END TO THIS SO, DON’T TALK, ACT!!!!! you are right ! I do it !! I boycott every country where the animals are so tortured and mistreated !!! l’homme a transformé la Terre en enfer pour les animaux !!! ô combien c’est encourageant de savoir qu’il existe encore des gens sur cette Terre qui font tout pour que ça change !!! Did it all, twitter and Facebook! 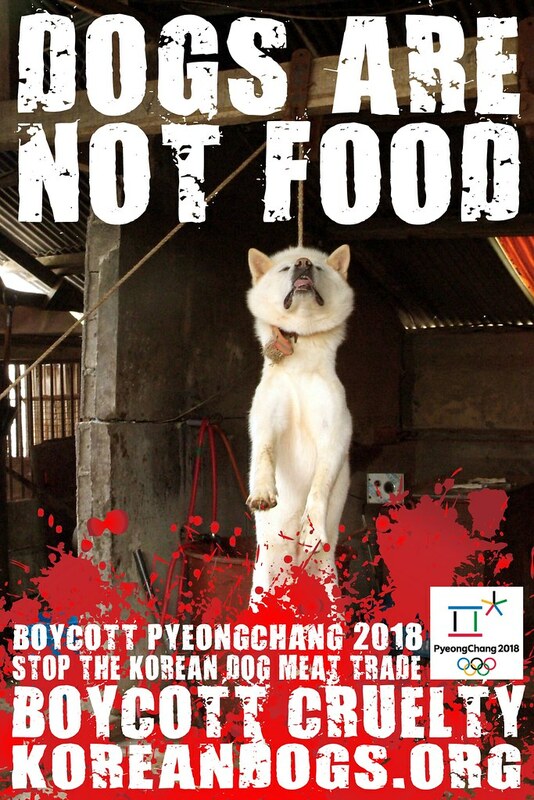 To tourists going to the 2018 PyeongChang Winter Olympics – When you order “ international cuisine” in restaurants, know that you will be eating live boiled dogs and cats stirred in rice. 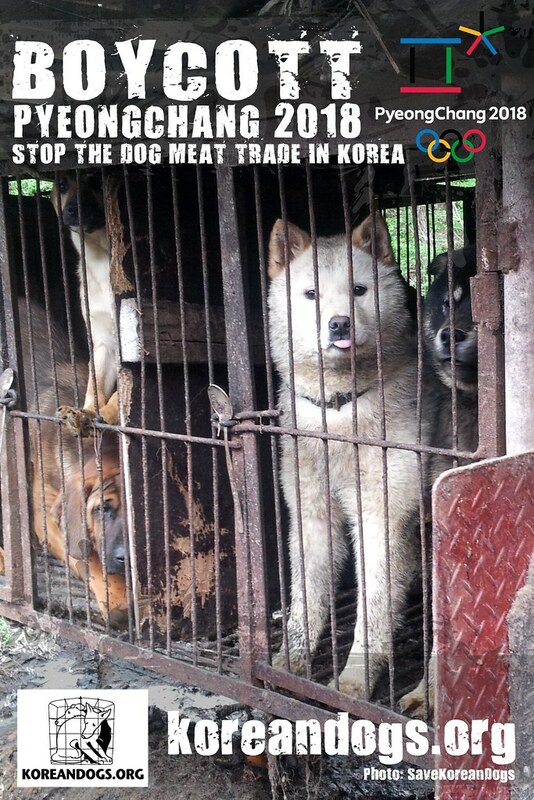 BOYCOTT the 2018 PyeongChang Winter Olympics . I would NEVER travel to these countries that torture and brutalize animals like they’re garbage! The world is watching you and even much more important GOD is watching you! You better stop NOW because there will be Karmic justice to pay! You can’t do such evil and expect it to not touch you!